Berne- Leah C. Swint, 87, entered eternal life on Sunday, September 9, 2018. Born September 3, 1931 in Central Bridge, New York she was the daughter of the late Daniel and Barbara Beacraft. 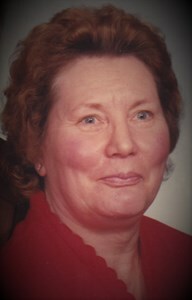 She was the loving wife of 53 years to the late William E. Swint. Leah was a homemaker who enjoyed helping others working as a home health aide. She is survived by her three children, Teresa Ackroyd (Harrison), Karen Norray (John) and William Swint (Sarah). She is also survived by her grandchildren, Christopher, Harrison, Jack, Dana, Jason, Evan, Hayley and Dyllon. Leah is also predeceased by her son, Daniel Swint. In lieu of flowers memorial contributions can be made to The Community Hospice of Rensselaer County, 295 Valley View Boulevard, Rensselaer, NY, 12144. A calling hour will be held on Saturday, September 15, 2018 from 9:30am-10:30am at New Comer Cremations & Funerals, 343 New Karner Road, Albany, New York 12205. A memorial service will follow at 10:30am at the funeral home. Interment will be held at Woodlawn Cemetery, Berne. Add your memories to the guest book of Leah Swint.